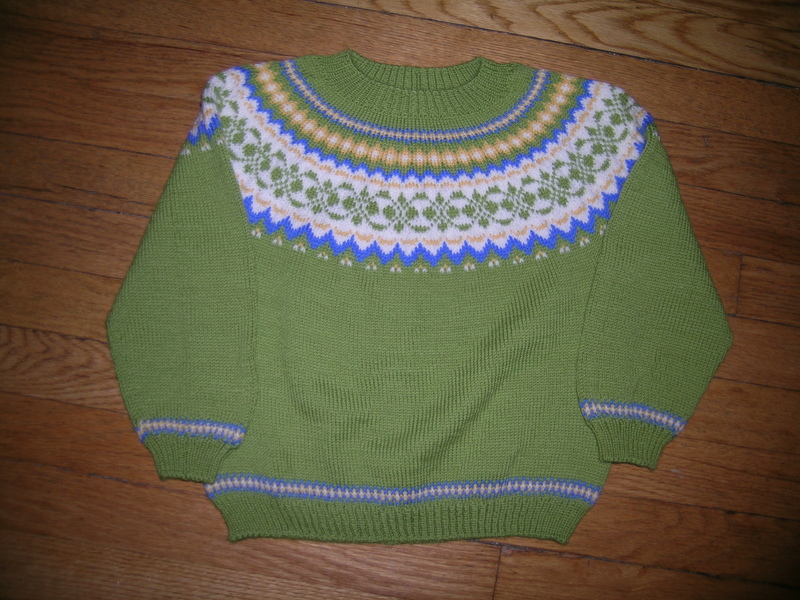 When young Franklin was not quite 2, I made this sweater for him, and posted about it here. Legend has it that it became a favorite one, and was worn for many years on visits to Santa Clause. 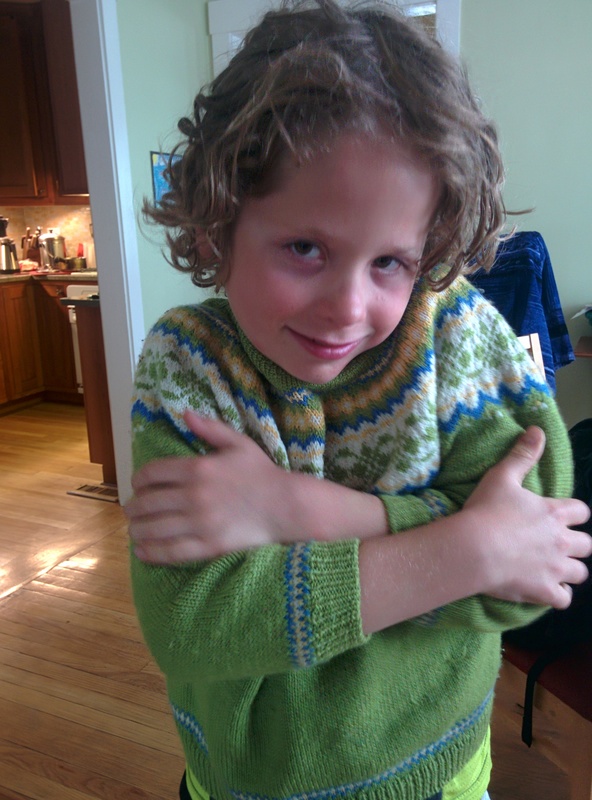 One time when his dad took him on the train to visit Mom downtown, he arrived with the sweater on inside out; when questioned about it, the father replied that it looked just as good inside out. A gift that loved, and worn that much, could not be better. Well, I could not believe that he wore the sweater all those years. I intentionally made it big so that it would last a long time, they started with the sleeves rolled up. Then last week, this photo was in my inbox. Franklin had just returned from a camping trip on a cold weekend, and this was what he wore, 7 1/2 years later! How much longer can it go?